IS IT ME, OR ARE PEOPLE CRAZY? 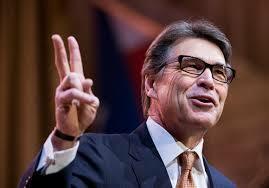 : GOVERNOR RICK PERRY'S GLASSES MAKE HIM LOOK PRESIDENTIAL- YOU THINK? GOVERNOR RICK PERRY'S GLASSES MAKE HIM LOOK PRESIDENTIAL- YOU THINK? This is the man who governed Texas, the longest in their history. He is an ex-Democrat who switched parties. Some, actually many, think he is as dumb as a rock. They say that he is aggressive and focused, but not well read. Glasses do make him look smarter. You think? It's like putting lipstick on a pig. "Those of you that will be 21 by November the 12th, I ask for your support and your vote." Rick Perry, flubbing the voting age (which has been 18 since 1971), as well as the date of the Nov. 6 election. This is the man who governed Texas the longest in their history. He is an ex-Democrat who switched parties. Some, actually many, think he is as dumb as a rock. They say that he is aggressive and focused, but not well read. Glasses do make him look smarter. You think? It's like putting lipstick on a pig. "The reason that we fought the [American] Revolution in the 16th century — was to get away from that kind of onerous crown, if you will." Rick Perry, getting the date of the American Revolution wrong by two centuries. YOU THINK HE CAN PRONOUNCE: ABU GHRAIB?